A coffee table doesn’t need to be a square or rectangle boring object in front of your sofa. There are alternatives to give your room character and a little spice. It’s your home or office, break the rules. Think in multiples. Incorporate two or three, smaller coffee tables instead of a single large table. This can celebrate the rules of both function and form. Try a grouping of four side table stools to create a sculptural look, plus it can be easily rearranged or moved when necessary. If you decide to go for a collection of smaller tables, try varying their heights for added interest. Consider three ceramic garden stools, this is a contemporary take on the traditional Chinese garden stool, make a casual coffee table that can double as seating. Maybe you can push two tiny tables together to create the illusion of a single table. This is great for smaller spaces because they can be separated and used as side tables when you need the space. Old milk crates can be used in place of a coffee table. You can use just one large crate or attach a few of them together. It gives you a place to put drinks as well as some added storage underneath the surface. It is common for home stores to sell simple tabletops which don’t come with legs. If you grab one of these tabletops, you can use stacks of books or magazines for support. A large basket with a flat top can also serve as a coffee table with built-in storage underneath. This can be a great option for rooms with a more country or traditional style. If you wish to add a vintage charm to your room, take a few old or vintage suitcases with flat sides and stack them to create a unique coffee table. You can paint an old trunk repurposed as a shabby chic coffee table alternative. A vintage trunk offers character in which a new or modern piece can’t accomplish. Plus, there is the bonus of storage. Remember that while they can be good for putting your feet on, vintage trunks often have curved lids. This means you can’t place things down on them. You will need to consider adding side tables for your items such as drinks and remotes. Like ottomans, storage benches are good for table surfaces and extra seating, when needed. Yet, the real advantage of these pieces is that they have hidden storage inside. Use either one long piece or a couple of smaller matching benches. The key is to make sure you maximize the amount of storage you get out of them. This is a good option is excellent for small spaces. Garden stools are used more in the living rooms these days. These stools are cute and trendy and many people use them instead of traditional coffee tables lately.They’re an inexpensive alternative and work both indoors and outdoors. Unfortunately, they don’t offer quite the same impact as a rectangle coffee table, but the advantage is their versatility. 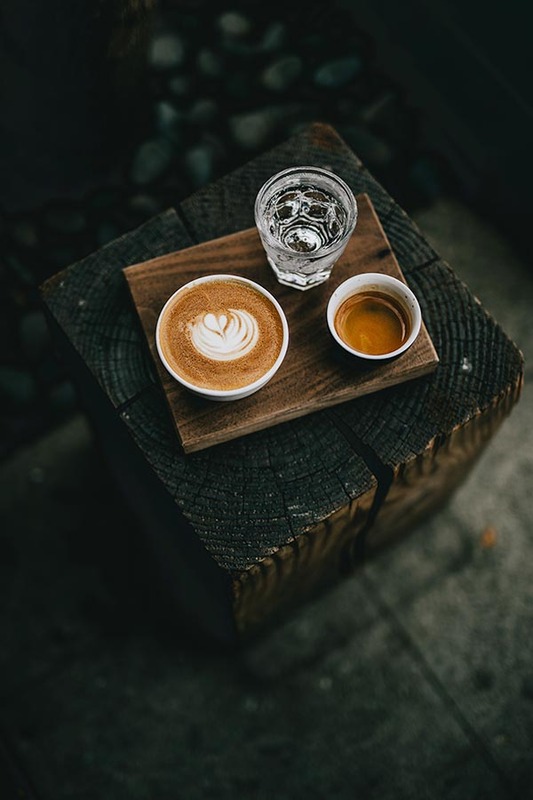 If you choose to use garden stools as a coffee table alternative be sure to use a least two, as one will likely be too small to fill the space and it will look a bit lost. The do come in a variety of shapes and all sorts of sizes. Consider picking up a few and sprinkling them around your living room or in front of the sofa for a functional coffee table. The traditional tufted ottoman is an excellent alternative. Soft yet practical so long as you have a coffee table tray. A tray table can offer something which a traditional coffee table can’t. If you regularly entertain a tray table can be a wise purchase. Make sure it’s not too heavy, so you can carry it around the room as needed. Also, tray tables come in multiple colors and patterns to provide a unique decorating opportunity. There are so many amazing options for coffee tables, there’s no rule saying you must include a coffee table at all. However, we are a little bias and believe it’s a good idea to include a coffee table in front of your sofa. 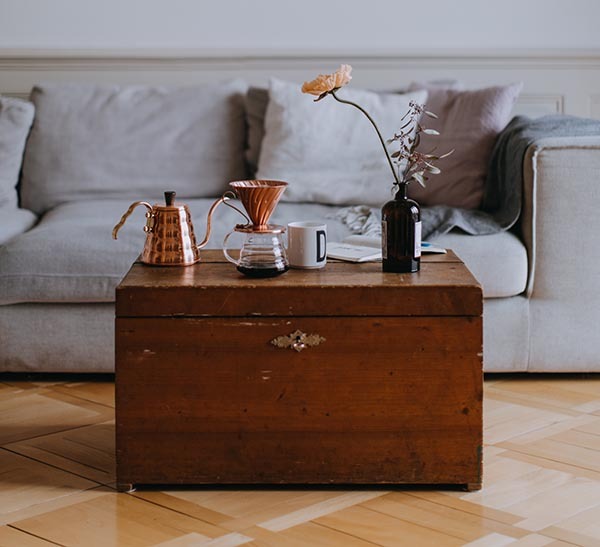 However, if you have a small space or just want to have more of an open feel in your room, don’t feel obligated to include a coffee table. What do you think about these coffee table alternatives? Do you find them interesting and fun? Would you like to have a coffee table like these? We would love to know what do you think, so please share your thoughts in a comment below. What do you think makes a good coffee table alternative, we want to know. Coffee Table Lamps – Is It A Thing? Coffee Table vs Tea Table – What Is The Difference?